You can find Jana here and here on Ravelry. I find inspiration in many things. When you are knitting a lot, it´s just always in the back of your mind, almost everything can lead to knitting idea. 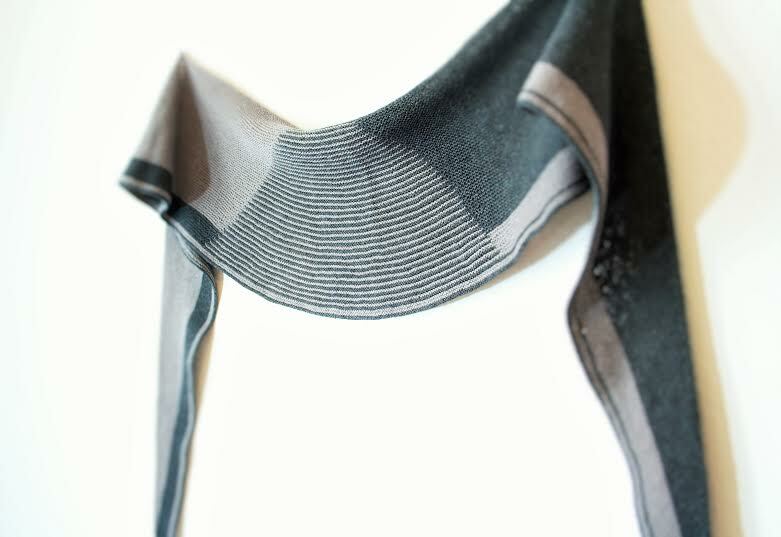 Sometimes it´s as simple and obvious as someone wearing an intriguing piece of clothing or accessory, maybe hand-knitted even, and sometimes it´s something as unsuspected as the shape of a leaf on a tree, a colourful berry, or the paper-craft of origami. Also, the yarn itself can inspire a design idea. When I see a skein of yarn, sometimes I instantly know what it is supposed to be. Then again, the creative process may take time, and while I am working on other projects those completely untouched skeins that are full of so many possibilities will make suggestions and arguments for this and that in my head, and in the end I find just the perfect project for them. And finally there is the graphic designer M. C. Escher, some of whose symmetry drawings I translated into knitting, of course. That´s definitely short rows! They open up whole new territories for the world of knitting, especially for shawl construction and garment shaping, much more than any other technique. Knitting just wouldn't be the same without them. I try to cover as many sizes as I can, so most of my patterns have a range from 32 to 54 inches. All calculations are made based on CYC standards. It is important to me that the designs I make look well in every size. Test knits are really helpful in making sure of it. Of course I look at other designers´ work! There are many designers whose work I admire a lot. I learn from them what looks good in a design and sometimes what doesn't. Every designer has her or his own unique style, and it is really very much fun to see and study the "essence" of their work. But it´s more than that. 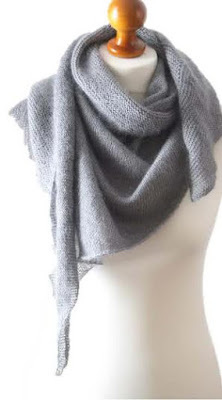 Seeing other designers´ work on Ravelry does not only tell me what I like in a design, but also which kind of designs appeal to the general knitter. 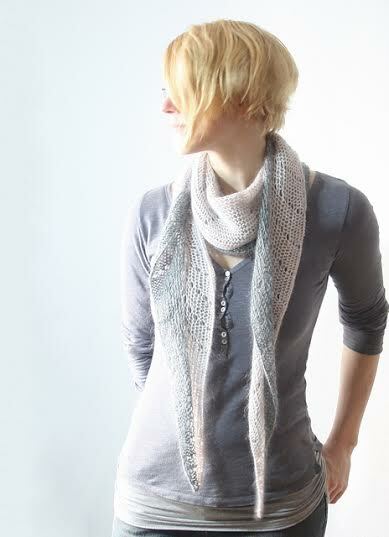 And while I always make designs that I love myself, I want to make designs that knitters enjoy as well. So of the many ideas in my head I will pick those that both I, and other knitters will appreciate. Sometimes I´ll sneak in a design that I am making just for myself, because I simply cannot resist the temptation. And some of these "selfish" patterns are very popular, so you never know really. At the same time, it is important to me to make designs that are different and new. There´s no need to be redundant, life is too short for that. However, you can never totally exclude the possibility that a design that you thought was originally yours already exists. That is why I browse the pattern data base on Ravelry before I start working on a design. Writing patterns is a way of communication between a designer and a knitter. I´ll write a pattern in a way so that knitters understand what I mean. I don´t know that this would be "dumbing down" patterns. The knitters I know are smart. My test knitters, for example, help me to ensure that my language is easy to understand . And since we knitters today don´t have to worry about the costs of printing so much anymore, for example you can read the pattern from an electronic device or just print out the pattern you want instead of having to buy a whole magazine or book as you used to, why not take advantage of that freedom and be more elaborate, or add a photo tutorial here and there? 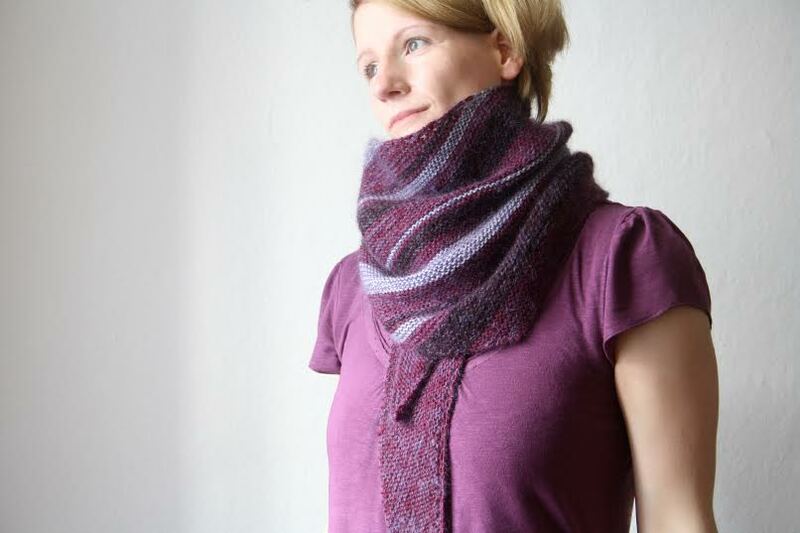 And why not listen to knitters who say "I don´t get it, what am I supposed to do?" It´s great that designers now hear back from their customers, we write better patterns for it. Generally speaking, people like to hold on to the old way of doing things and think that the new advancements are making life too easy and too accommodating. It always happens when there´s a change. Don´t buy into it. Television did not lead to a downfall of society and computers and the Internet don´t dumb people down either. Write patterns the way you like, the way you feel will be best for explaining your design. Too long directions can be confusing and knitters can get lost in them. So find a middle ground, a language that both, you and other knitters, are happy with. Maybe place photo tutorials on an extra page so that they don´t need to be printed out, which saves ink. Again, asking your test knitters is the best way to make sure you've hit the right balance. All my patterns are test knitted. There are many test knitters who test knit regularly, others do it only once, or just a few times. So I cannot give a precise number. Also, I announce most of the test knits in my Ravelry-group (janukke Strickdesign), so you don´t have to be on my mailing list to join in. Occasionally, I will have samples knit for yarn companies if they ask for it. Yes, I do use a tech editor. I find that this is – other than test knitting – the best way to ensure that the directions are clear and error-free. That´s always a challenge when you are working for yourself. There are no fixed business hours. But on the other hand you are free to plan your days as you please, you can take breaks any time you like and schedule your work around your life rather than the other way around. I enjoy that freedom a lot. Knitters overall are very friendly folks. Even if someone spots a mistake in one of my patterns – which happily doesn't happen a lot – it´s usually an amicable exchange. I feel that when I get criticism the intent is almost always to make me aware of an issue. So I appreciate it a lot – I learn from that. I've read this somewhere and really like it: "Do what you love, and fortune will follow." So don´t be afraid, jump right into it. Talk to other designers, look at their work and learn from them and the amazing community of knitters. You will find that Ravelry is a great source of information and designers as well as knitters are very ready to help out if you have any questions. Of course, there´s no guaranty of even a low income right from the start. So plan ahead for that as well. Maybe start the career as a side job and build it up from that. But after taking these security measures, just get started! It´s the best way to find out if writing knitting patterns is for you. So many things. I am working on some commissions by Ito –Fine Yarn from Japan and a few indie-dyers. I have the whole year mapped out, but also left some empty slots so that I can be spontaneous if inspiration hits, which I enjoy immensely. That freedom is one of the huge advantages of being a knitting designer.